I love this chutney since childhood. My mother and mother in law make it in the same way with minor changes. 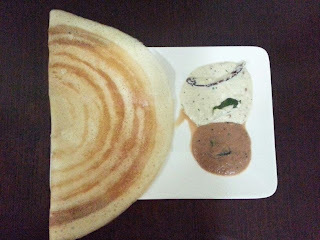 I almost always make this with idli or dosa. I never eat the coconut chutneys served in hotels. 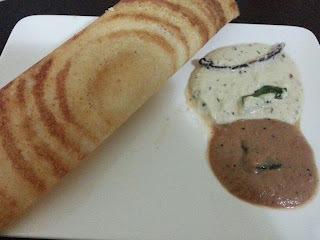 This chutney has a lovely blended taste of both roasted gram and coconut and tastes better than plain coconut chutney. It is very easy to prepare too. 1. 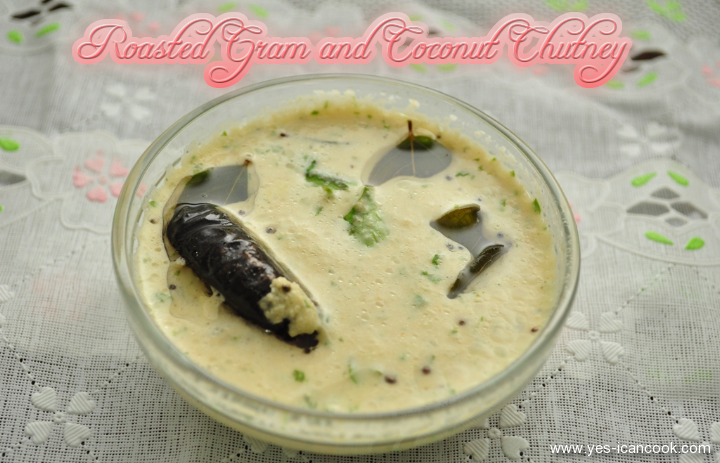 In the jar of a mixer add the roasted gram, grated coconut, garlic, green chilli and salt. Add some water and grind to a thick coarse or smooth paste as preferred. 2. Add the coriander leaves and grind fpr 2 short bursts just to combine the coriander leaves and not paste them. 3. Remove the chutney into a container or bowl and add water to turn it to desired consistency. You can serve as is or temper it using next steps. 4. 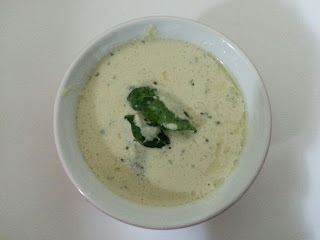 In a pan, add oil, mustard seeds, red chilli, urad daal and curry leaves and temper. 5. Pour this on top of the chutney and mix.